Serving Bradford, Lackawanna, Luzerne, Monroe, Pike, Sullivan, Susquehanna, Wayne & Wyoming Counties. Have you been charged with a crime or do you believe you are under investigation? Contact The Law Offices of Ackourey & Turel P.C. Our firm has offices located in Scranton and Tunkhannock Pennsylvania. We offer a FREE CONSULTATION on all criminal cases. We will travel, if necessary, to the jail to see your loved one. Our lawyers have a proven track record of getting the results for our clients. If you have one call to make, call us at 570-836-3600 or 570-342-4242 for your FREE CONSULTATION. Felony charges are more serious crimes than misdemeanors. Remember you have the right to remain Silent! 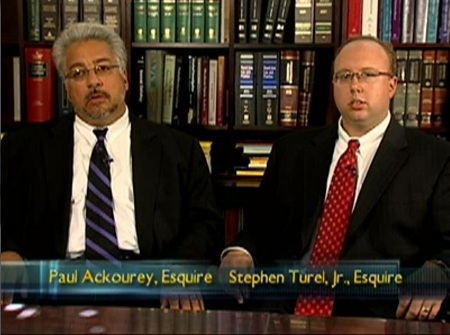 Before speaking to law enforcement, contact The Law Offices of Ackourey & Turel P.C. Our firm has offices located in Scranton and Tunkhannock Pennsylvania. We offer a FREE CONSULTATION on all criminal cases. We will travel, if necessary, to the jail to see your loved one.